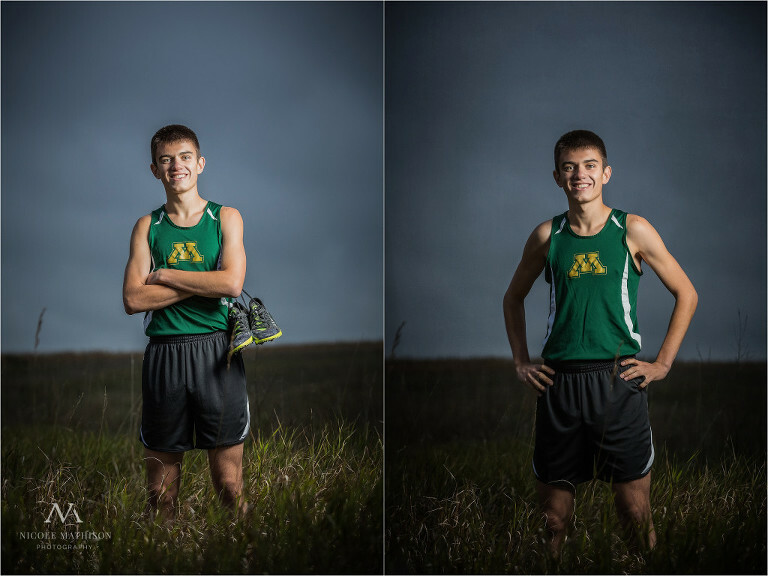 Rochester is a great place for senior portraits! There are so many options to meet the needs and style of every senior. 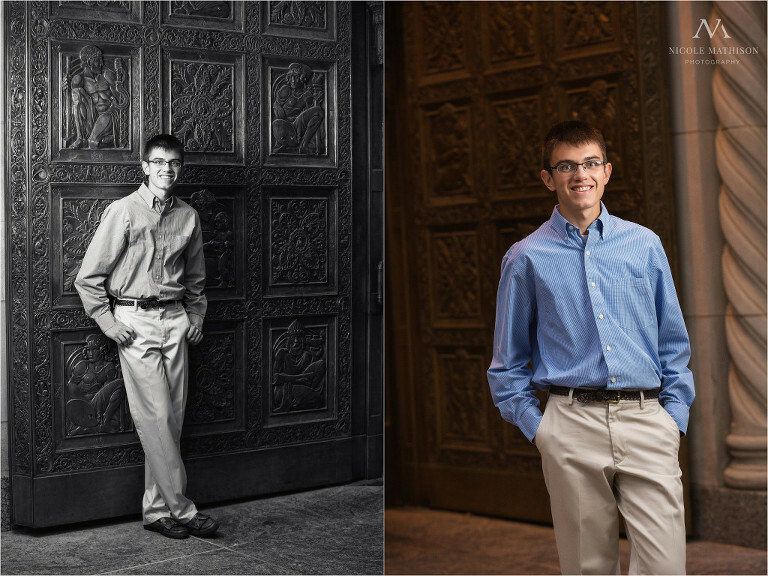 For Travis’ VIP Senior Session, we decided to do a mix of photos downtown near Mayo Clinic, then head out to a great secret location perfect for outdoor, country photos. The weather was a little iffy and we had a hard time deciding if we should go ahead or reschedule. Dodging rain clouds and showers made for a memorable experience! One of the most iconic spots in Downtown Rochester is right in front of the Plummer Doors. Each door is 4,000 pounds and 16 feet tall! The ornamental patterns repeated on the doors are not only incredible gorgeous, especially for portraits, but they are filled with symbolism, perfect for a young man heading into the medical field. Travis, a senior from Mayo High School, was active in Debate, Model UN and Knowledge bowl. Seriously one smart kid to boot! He has always had an interest in politics and volunteers his time to work with his local politicians and party. Travis is also one of the most modest kids I know. He’s so quiet about his impressive accomplishments. He is definitely the type of young leader this country needs so keep an eye out for him in the future! Of course, I had to include the image where Travis was photobombed by an ambulance! LOL! © 2019 Rochester and Southeastern MN Custom Senior Portrait Photography | Newborn-Family Photographer|ProPhoto 6|Design by Northfolk & Co.